Berry thanks Chisholm for her gift of Easter Lilies. 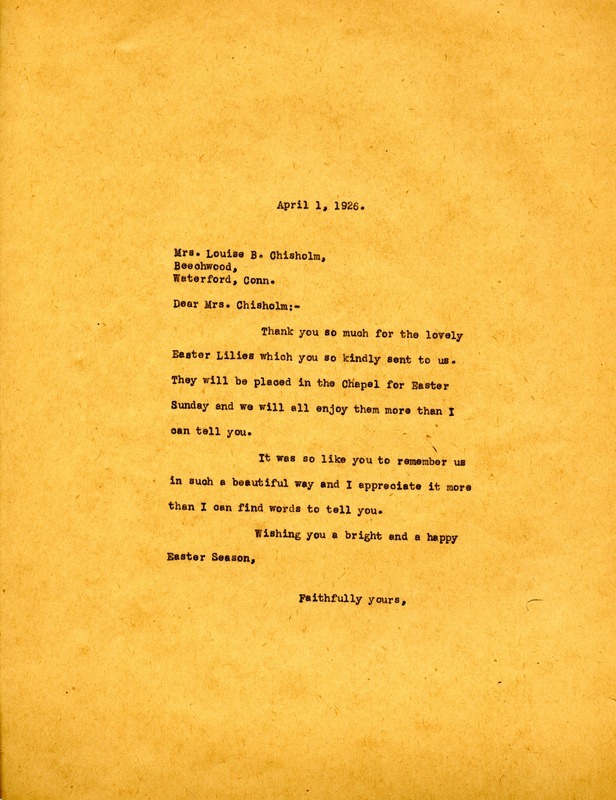 Martha Berry, “Letter to Louise Brigham Chisholm from Martha Berry.” Martha Berry Digital Archive. Eds. Schlitz, Stephanie A., Sherre Harrington, Meg Ratliff, Rachel Renaud, et al. Mount Berry: Berry College, 2011. accessed April 24, 2019, https://mbda.berry.edu/items/show/1153.